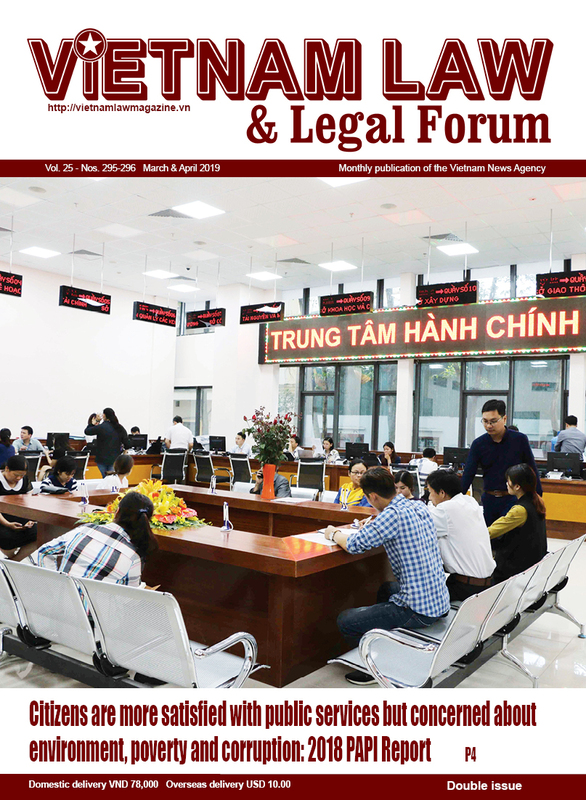 The revision of the Law on Import Duty and Export Duty, which was issued 10 years ago, comes in the context that Vietnam has over the past years signed eight trade agreements, including the WTO and TPP, with numerous specific commitments on tax reduction, and made great efforts to restructure its economy with a focus on reform of state enterprises. 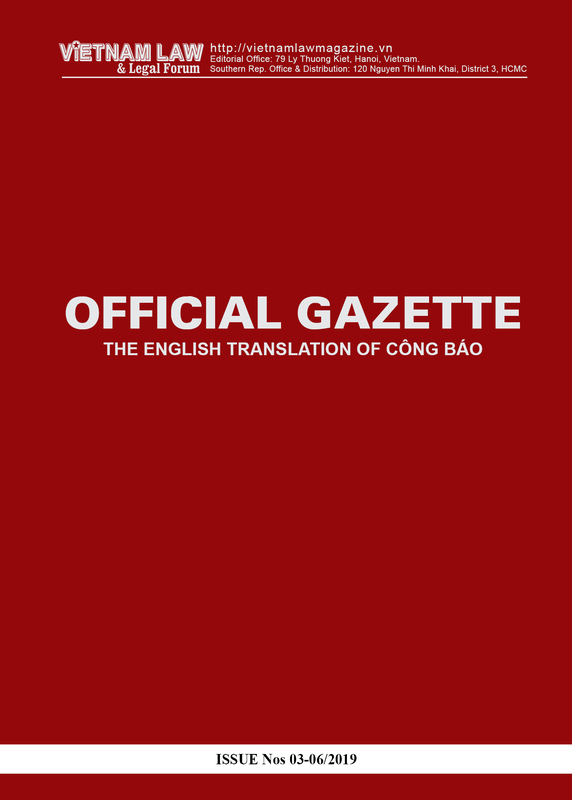 Under the draft Law, dutiable objects include goods imported and exported via Vietnam’s border gates, goods exported from the domestic market into non-tariff areas, and goods imported from non-tariff areas into the domestic market. Free from import duty and export duty are four types of goods: goods in transit, border-gate transfer or transshipment; goods given as humanitarian aid or non-refundable aid; goods exported abroad from non-tariff areas; goods imported from abroad into non-tariff areas and used only in non-tariff areas and goods brought from a non-tariff area into another; and petroleum upon export, which is used for payment of royalty to the State. Duty payers include owners of imports and exports; organizations entrusted to import and export goods; persons on exit and entry carrying imports and exports and consigning or receiving goods via Vietnam’s border gates; persons handling assets being imports on which duty has not yet been paid; and persons trading in, selling or using imports on which duty has not yet been paid. In addition, duty payers may be customs clearance agents that are authorized by duty payers to pay duty; international express mail service providers that pay duty on behalf of duty payers; credit institutions or other organizations that provide guarantee for duty payers in case the latter cannot pay duty; and persons who are authorized by owners of goods being donations or gifts of individuals or luggage consigned before or after the flights or voyages of persons on exit or entry. The draft Law provides duty bases for goods subject to pro rata duty rates and goods subject to absolute duty or combined duty. For goods subject to pro rata duty rates, the duty amount will be the taxed value multiplied by the pro rata duty rate of every goods item at the time of duty calculation. The application of duty rates and duty calculation methods will accord with trade policies applicable to imports and exports based on their origin and preferences given by Vietnam to partner countries and vice versa. Duty rates will be specified for every goods item in the Export Tariff. For goods exported to a country, a group of countries or a territory that has an agreement on export duty preferences with Vietnam, this agreement will apply. Import duty rates include preferential duty rates, special preferential duty rates for goods in the import tariff, and ordinary duty rates based on origin of goods. 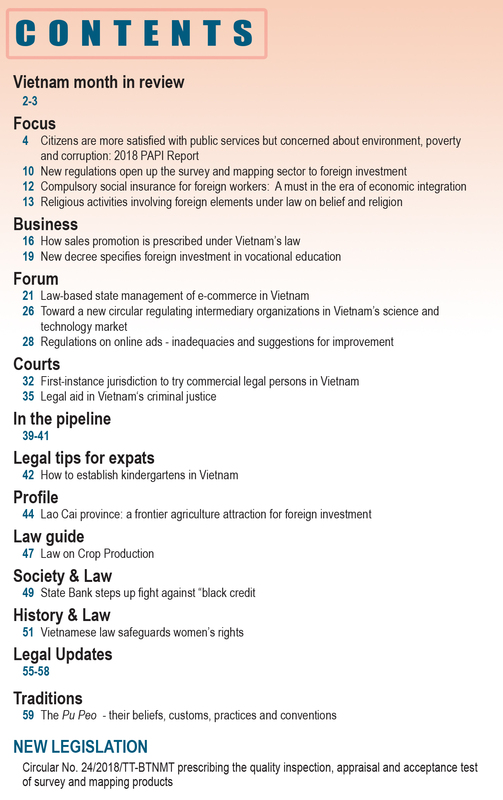 According to the draft Law, preferential duty rates will apply to imports originating from a country, a group of countries or a territory that grants most favored nation treatment to Vietnam; or goods which are imported from non-tariff areas into the domestic market and originate from a country, a group of countries or a territory that grants most favored nation treatment to Vietnam. Ordinary duty rates will apply to goods imported from a country or a group of countries that has not signed any agreement on most favored nation treatment or agreement on special preferences with Vietnam. The ordinary duty rate will equal 150 percent of the preferential duty rate for every corresponding goods item. If the preferential duty rate is zero percent, the Prime Minister will decide on ordinary duty rates in accordance with the Law. Meanwhile, absolute duty will be determined based on the quantity of actually imported or exported goods and absolute duty per unit of goods at the time of duty calculation. A combined duty will include the duty amount calculated on a pro rata basis and absolute duty amount payable under this Law. As mentioned above, the draft Law has paid heed to tax-related international commitments in the free trade agreements Vietnam has signed. In light of the 2014 Customs Law and the Agreement on Implementation of Article VII of the General Agreement on Tariffs and Trade (GATT), the draft Law makes specific provisions on the value for import duty and export duty calculation. The value for import duty calculation is the actual payable price to the first border gate of importation in accordance with Vietnam’s law and treaties to which Vietnam is a contracting party. So, the value for import duty or export duty calculation may differ from the value of the payable amount or value of the commercial contract between the exporter or importer and a foreign trader. The difference (if any) is an amount the parties agree to pay on behalf of each other, such as insurance cost, freight in case a Vietnamese importer buys goods from a foreign exporter at FOB price, or an amount collected or paid on each other’s behalf and cleared in the contractual value. The draft Law states that the time of import duty or export duty calculation is the time of customs declaration registration as prescribed in the customs law. In reality, some imports or exports are not liable to duty or exempted from duty but later become liable to duty as the purpose of import or export is changed. In this case, the Customs Law requires registration of new customs declarations according to the changed purpose (in replacement of the old declarations containing duty exemption contents) and, therefore, the import or export duty must be calculated from the time such registration is made. For imports and exports which are subject to tariff quota-based rates but shift to be subject to outside tariff quota rates because of the change in quantity or volume subject to tariff quota-based rates, the time for calculation of import or export duty on outside tariff quotas must also be re-determined to be the time of registration of the new customs declarations. The 2005 Law on Import Duty and Export Duty and the Law on Tax Administration stipulate different time limits for duty payment, depending on types of import or export business and import purposes: payment of duty before clearance of imported consumer goods; payment of export duty or duty on goods temporarily imported for re-export within 15 days after customs declarations are opened; or payment of duty within 30 days after import of supplies or raw materials for production and business and the duty payment is guaranteed by credit institutions. Particularly for import of supplies or raw materials for export production, duty must be paid within 275 days after customs declarations are opened but no goods are exported and exporters will be refunded the paid duty amount if they export the goods later. The above provisions are suitable to conventional management methods but place a burden on importers and customs offices. To address this, the draft Law sets duty payment time limits according to modern customs management methods specified in Annex F to the Kyoto Convention, which depend on duty payers’ law compliance records. Specifically, duty payers that are entitled to the priority regime under the Customs Law will pay import or export duty for customs declarations for which customs clearance or goods release for a month is made no later than the 10th of the subsequent month. Past this time limit, if the duty payers do not pay duty, late-payment interests will be levied under the Law on Tax Administration, at 0.05 percent per diem on the unpaid duty amount. Duty payers that are ineligible for the priority regime under the Customs Law will pay import or export duty before customs clearance or before release of dutiable imports or exports. They may delay duty payment 30 days after such customs clearance or release if their payable duty amounts are guaranteed by credit institutions. The maximum guarantee period is 30 days after customs declarations are registered. Past the guarantee period, if the duty payers do not pay duty and late-payment interest (if any), the guarantor will be responsible for paying such duty and interest on behalf of the duty payers. The draft Law has addressed three existing problems in the issuance of tariffs and in the framework of, duty rates. (iv) Being simple and transparent, facilitating tax-related administrative procedures; applying uniform duty rates to goods of the same nature, composition, utilities and technical features; and applying descending import duty rates and ascending export duty rates to goods items from finished products to raw materials. At present, the issuance of Import and Export Tariffs by commodity groups, also known as framework tariffs, rests with the National Assembly Standing Committee. The Prime Minister sets absolute duties and combined duties for a number of goods items, and the Minister of Finance issues remaining import and export duty rates. The recent time shows that absolute duties and combined duties have only been imposed on used automobiles, while most of specific duty rates are issued by the Ministry of Finance. With a view to ensuring the stability of these tariffs and following the trend of joining the FTAs, the draft Law assigns the competence to issue the tariffs to higher authorities. First, the list of dutiable commodity groups and framework export tariff for each commodity group is provided right in the Law, falling under the competence of the National Assembly. Second, in case of necessity, the Government will propose the National Assembly Standing Committee to amend the export tariff according to the list of dutiable commodity groups and framework export tariff promulgated together with this Law. Third, in accordance with the principles of issuance of the tariff and duty rates; the export tariff according to the list of dutiable commodity groups and framework export tariff; the preferential tariff committed in the Protocol on Accession to the World Trade Organization ratified by the National Assembly and other treaties, the Prime Minister will issue: (i) the export tariff and preferential export tariff; (ii) preferential import tariff and specially preferential import tariff; and (iii) the List of commodities and absolute duties, combined duties and import duties outside tariff quotas. Since Vietnam’s accession to the WTO in 2007, 100 percent of import duty lines have been annually reduced according to the committed roadmap. To date, this reduction roadmap has been basically completed, making the setting of the ceiling level of the framework import tariff no longer practically significant (for it is within the WTO commitment). At the same time, the setting of the floor level of the framework import tariff is also no longer necessary. Moreover, Vietnam has so far signed 10 FTAs with the commitments to abolish tariffs for an average of 90 percent of duty lines. Particularly, in the TPP accession commitments and Vietnam - EU commitments, the liberalization rate will reach 97-98 percent of the duty lines. Therefore, the draft Law does not provide a framework import tariff but provides only a framework export tariff, focusing mainly on exports being natural resources and minerals, basically following the framework export tariff promulgated in 2008 by the National Assembly Standing Committee. Compared to this framework export tariff, the draft Law only adds two commodity groups, including metal scraps and wastes according to the tariff reduction commitment with the WTO, and other commodity groups (numbered 45 in the framework export tariff) to suit the practical situation. At present, Vietnam has regulations on commercial safeguard taxes, such as anti-dumping tax, anti-subsidy tax and self-defense tax, promulgated by the National Assembly Standing Committee. To increase the legal validity of these tools in protecting domestic production, these safeguard taxes have been incorporated in the draft Law with stricter and more specific provisions. This is an import surtax to be imposed on imports dumped into Vietnam causing or threatening to cause a material damage to a domestic production sector or preventing the formation of a domestic production sector. Anti-dumping tax may only be applied when the following two conditions are satisfied: (a) Goods dumped into Vietnam and dumping range are specifically identified, and (b) the dumping of goods causes or threatens to cause a material damage to a domestic production sector or prevents the formation of a domestic production sector. (iv) Its application does not cause damage to domestic socio-economic benefits. The maximum duration of application of anti-dumping tax is five years from the date of issuance of the application decision. In case of necessity, the application of anti-dumping tax may be extended. It is an import surtax to be imposed on subsidized goods imported into Vietnam causing or threatening to cause a material damage to a domestic production sector or prevent the formation of a domestic production sector. The conditions for application of anti-subsidy tax include: (a) imported goods are identified as being subsidized; and (b) imported goods cause or threaten to cause a material damage to a material damage to a domestic production sector or prevent the formation of a domestic production sector. The maximum duration of application of anti-dumping tax is five years from the date of issuance of the application decision. In case of necessity, the decision on application of anti-dumping tax may be extended. This is an import surtax to be imposed on goods excessively imported into Vietnam causing a serious damage or threatening to cause a serious damage to a domestic production sector. The draft Law sets two conditions for application of self-defense tax: (a) The volume, quantity or value of imported goods surges absolutely or relatively compared to that of similar goods or directly competing goods made at home; and (b) The surge in the volume, quantity or value of imported goods mentioned at Point a of this Clause causes or threatens to cause a serious damage to the production of similar goods or directly competing goods at home. (iii) It is applied on the basis of non-discrimination and independence from goods origin. The maximum duration of application of self-defense tax is four years, including the duration of application of temporary self-defense tax. 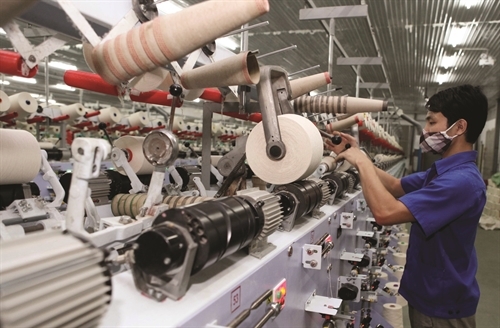 The duration of application of self-defense tax may be prolonged once for six subsequent years, provided that the serious damage or threat to cause a serious damage to a domestic production sector still exists and there are evidences to prove that such sector is adjusting itself to improve its competitiveness. As the application of safeguard taxes may spark international lawsuits, they must be applied in a very prudent manner and in strict compliance with regulations. This is why the draft Law stipulates that the application, change or abolition of anti-dumping tax, anti-subsidy tax and self-defense tax must comply with this Law and the anti-dumping, anti-subsidy and self-defense laws. Based on the tax rate and quantity or value of goods subject to anti-dumping tax, anti-subsidy tax or self-defense tax, customs declarants must declare and pay tax in accordance with the tax administration law.